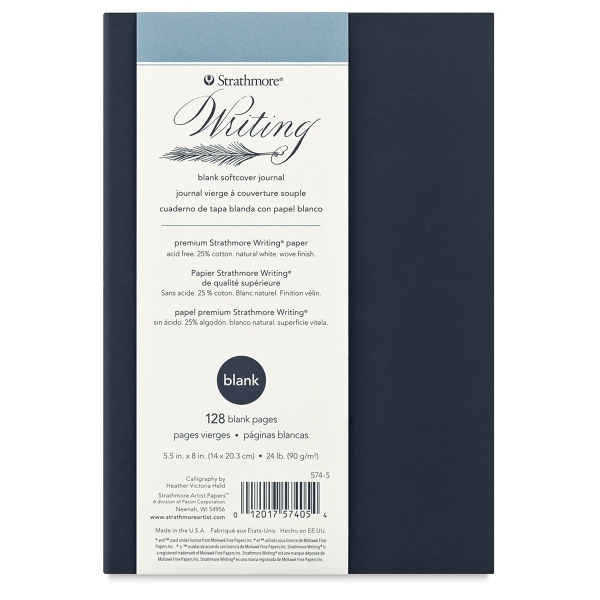 Strathmore celebrates thoughtful communication, the timeless art of calligraphy, and the physical act of putting tangible ink to beautiful paper with a line of high-quality writing products. Featuring classic 25% cotton Strathmore 500 Series Writing Paper, these beautiful journals allow individuals to chronicle their own experiences. 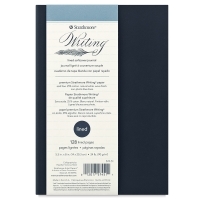 Strathmore Softcover 500 Series Writing Journals feature natural white, acid-free paper that is compatible with a variety of writing instruments. 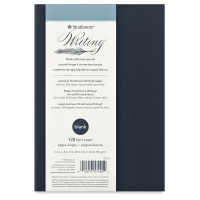 Perfect for calligraphy and hand-lettering, they feature a flexible, velvety, navy blue cover with sewn binding. 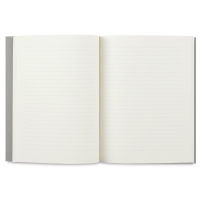 Choose blank pages or non-photo blue lined pages. The blue lines will disappear when photographed or scanned. 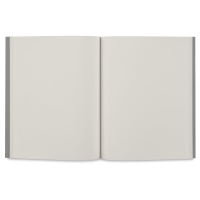 The paper is 24 lb (90 gsm).